3) I’m a bit confused about the “Skip to Page” feature. If you take a look at my form, if I choose only Photo>>Prints+Albums, it’s supposed to skip to page 4 or 5 after choosing a quantity on page 2. But suppose you check ‘No’ that you don’t have albums on Page 2. now you go back to page 1 to make a change. After you make that change, if you hit next, it skips to page 5 because that ‘No’ is still checked on page 2. It should continue to page 2, and then skip to 5. I temporarily hid the back button on page 2 because of this, but there has to be another way to do this. Skip functionality should only take effect when clicking next on the page with the final conditional field. Otherwise there’s no way to go back a page if there’s any skip statements, unless you clear all entries when changing pages. Unfortunately, I believe the skip function works that way, it reads all the rules or input fields as it is and applies the skip function when the rules are meant. Now I believe the problem is that you are getting conflicts with conditions that have the same functionality. If you have a lot of conditions that may affect one another, it would be best to be more specific on it. 1. 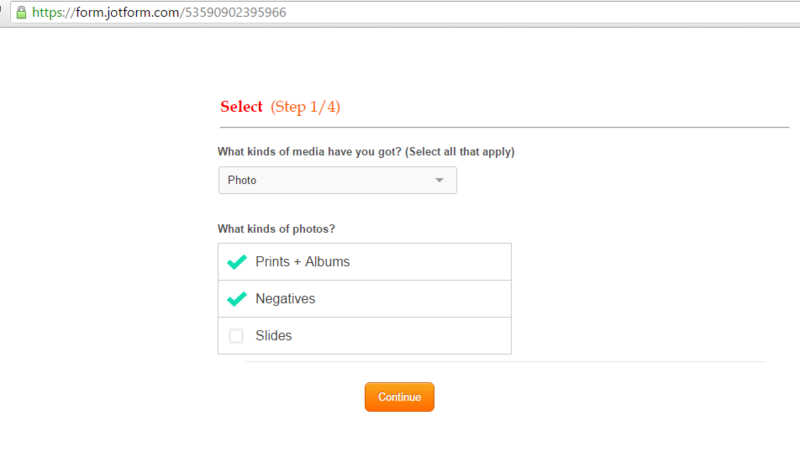 Noticed that in "What kinds of media..." and "What kinds of photos..." are using check boxes. You will need to be specific to when will the skip function will happen because your users can select more than one option here. 2. 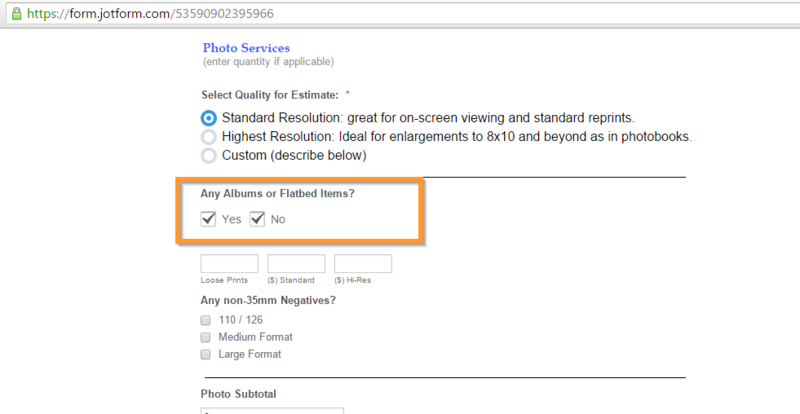 Same with the "Any Albums or Flatbed Items" question, you are using a check box which allow your users to select both "Yes" and "No" accidentally, this will cause your conditions to not trigger or cause conflict with other conditions. The Skip function works as expected, but this will depend on how your process flow works, how specific the conditions are and if it covers all the possible inputs of your users. Allowing your users to go back and change something and leaving the current page with some inputs will cause problems, there's no function to clear inputs on a page. Unfortunately, I am not that familiar on how your form works as a whole. But I think the best way to solve your problem is to include page breaks in your show/hide function to only allow users to proceed on the next/back button depending on the selected input.